There was no unveiling ceremony with this installation. 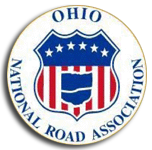 Shown is the City of Reynoldsburg’s Ohio National Road Interpretive sign which was installed at 7369 E. Main St. (by Cotner Funeral Home and in front of the beautiful mural) at the SE corner of Main Street (Historic National Road) and Lancaster Ave. in Reynoldsburg (eastern Franklin County). 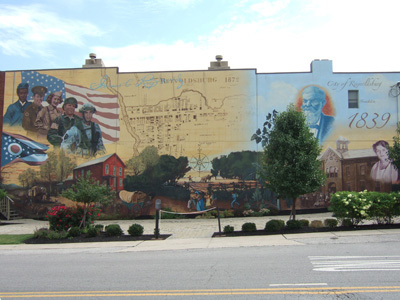 Shown is the beautiful mural that is on the west exterior wall of Cotner Funeral Home behind the City of Reynoldsburg’s Ohio National Road Interpretive sign located at 7369 E. Main St. at the SE corner of Main Street (Historic National Road) and Lancaster Ave. in Reynoldsburg. The mural was commissioned in 2009 and was painted by artist Curtis Goldstein. 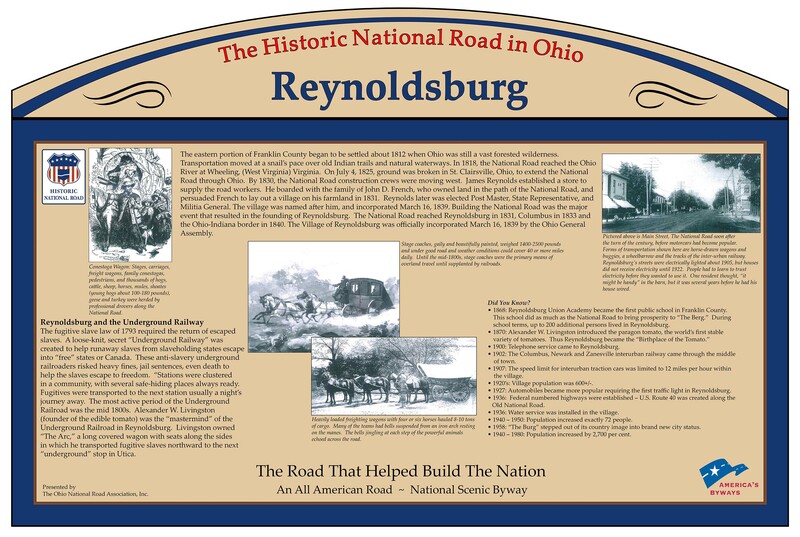 It was designed to incorporate five important aspects of Reynoldsburg’s history: the National Road, the tomato, Alexander Livingston, Reynoldsburg schools and the city’s military history.